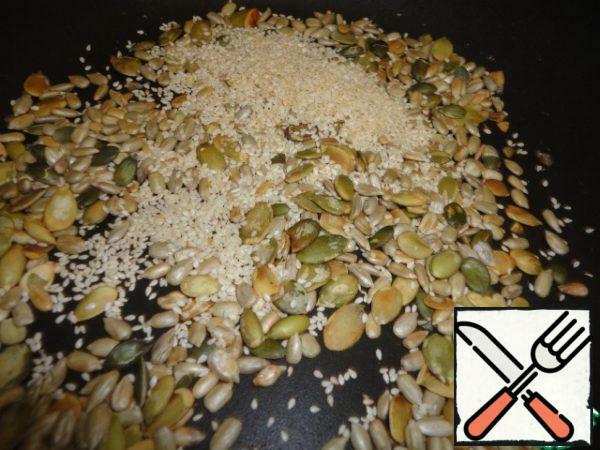 Fry pumpkin and sunflower seeds in a dry pan until Golden brown. Add sesame seeds and fry for 1-2 minutes. 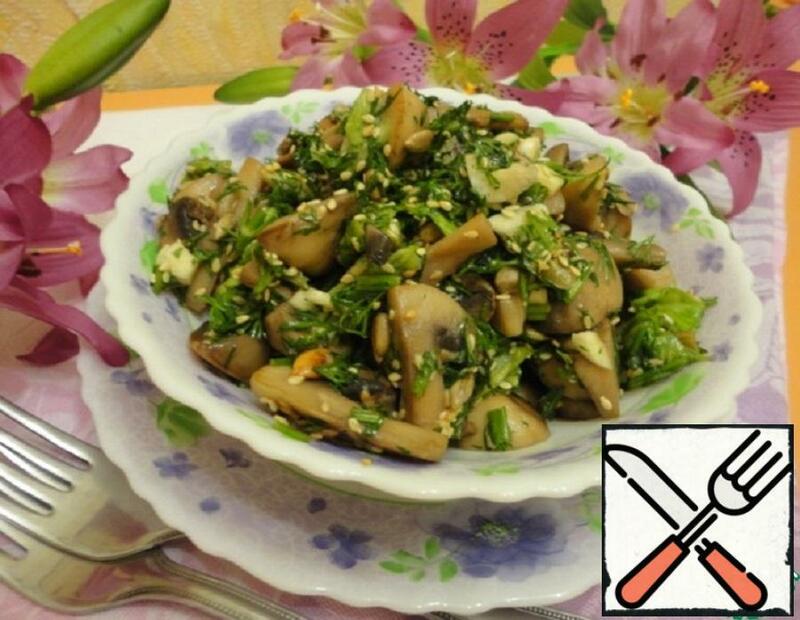 Remove from heat and pour into a bowl. 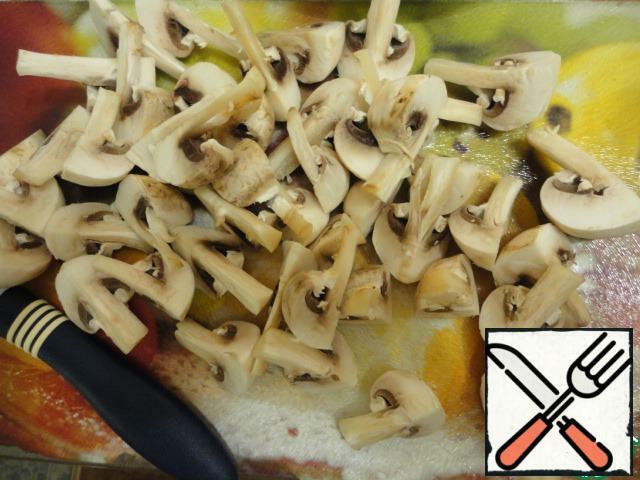 Mushrooms wash, dry and cut into quarters. Fry in butter for 2-3 minutes, over high heat. 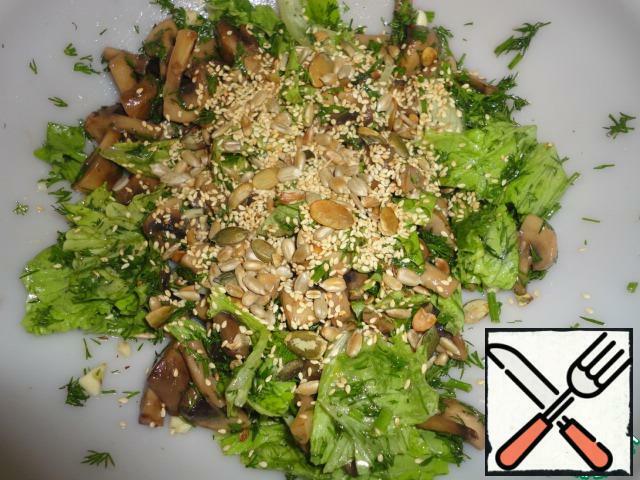 Lettuce wash, dry, coarsely cut or tear hands. 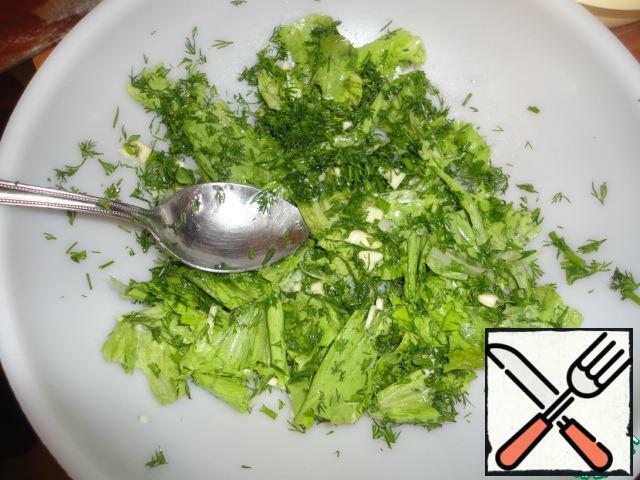 Add chopped garlic, vegetable oil, lemon juice, salt, pepper and finely chopped dill. Stir well. 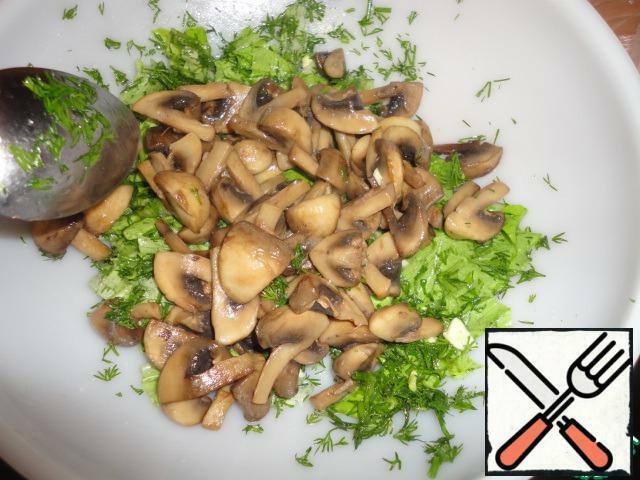 Add warm mushrooms and mix. Spread the roasted seeds, stir and serve immediately.